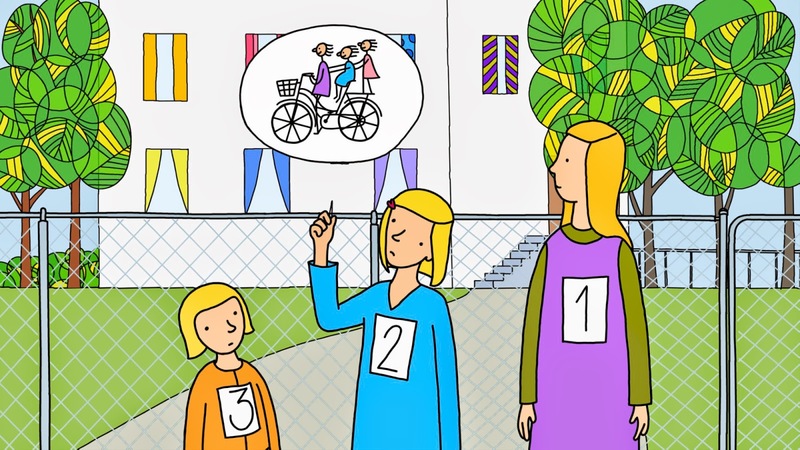 Synopsis: This short animation by Oscar®-winner Torill Kove (The Danish Poet) follows a seven-year-old girl and her sisters, who ask their parents to get them a bicycle. Our young protagonist struggles with her sense that her family is somehow unconventional, and her loving yet hopelessly out-of-touch parents prove to be a source of quiet embarrassment and anxiety. With a bright palette, this film views the creative attitudes of the parents through the eyes of their introspective daughter. Me and My Moulton tells the charming story of a young girl whose sensitive nature sometimes makes it difficult for her to be honest with the ones she loves most.